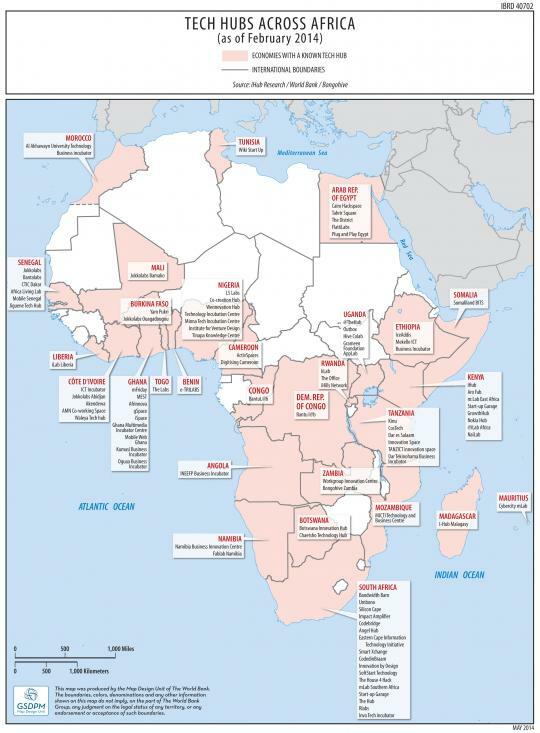 This is an interesting and timely post from Tim Kelly of the World Bank “Tech Hubs Across Africa: Which Will Be The Legacy-Makers?”, With data gathered by iHub Research, Bongohive (which I hope to visit in July) and the World Bank. Eric Hersman (White African on Twitter) has already provided a nice update to the World Bank piece here. The growth of innovation and tech hubs in the developing world is fascinating to me from the perspective of my own academic and research goals, but mainly for the future of ICT entrepreneurs and youth skills/career development across Africa. This post is timely for another reason, which I hope to be able discuss in more depth this Summer. I’d like to also see a more comprehensive map or listing of tech hubs across the developing world. From my work in Haiti I’m very interested in seeing an innovation center develop in Port-au-Prince to engage and catalyze Haitian techies. Image below from Tim Kelly, Lead ICT Policy Specialist, World Bank.